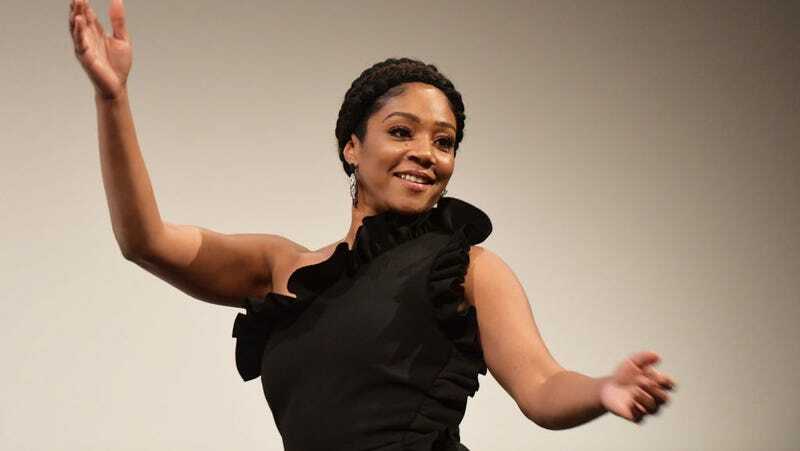 There’s a new kid on the block of Warner Bros.’ Lego Movie 2—Variety reports Tiffany Haddish has just joined the voice cast of the upcoming sequel. Phil Lord and Chris Miller have shifted to producing roles for the movie, which will be directed by Trolls helmer Mike Mitchell. The cast is still coming together, but creator Raphael Bob-Waksberg is rewriting the script. No info is available on who Haddish is playing in the film, but this is just the latest in a series of high-profile projects she’s nabbed in recent weeks. Not only did the Girls Trip breakout make her auspicious debut as Saturday Night Live host, but she’s signed on to star in The Kitchen with Melissa McCarthy and Elisabeth Moss. In addition to mulling over movie ideas with Paul Thomas Anderson and landing a two-year deal with HBO, Haddish is starring opposite Tracy Morgan in TBS’s The Last O.G. But she still has time for charity. The Lego Movie 2 is due out February 8, 2019.